France and its famous kings… Hearing about the history of the French royal life, the Palace of Versailles is the place to savour the kind of life of the many generations of kings, royal families and personages lived. Formerly a hunting lodge, the famous chateau together with its lavish gardens were built by King Louis XIV and continues to be a “testimony of the Sun King’s extravaganza”. This impressive architechture is one of the most popular French 17th century monuments. 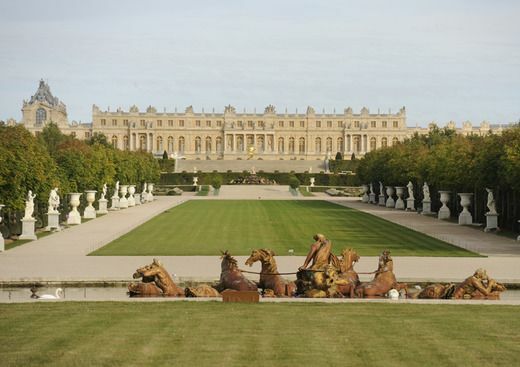 Book now with Paris Limousine Car Service for a royal luxury transfer to Chateau de Versailles. Our limousines range from deluxe Sedans to Minivans and Buses. We have fully equipped cars to meet your needs and comfort for any number of passengers. Our chauffeurs have gone under intensive safety and driving courses and are well acquainted with the itineraries of Paris and other regions of France. We will make your visit to this great historical monument special. All along the way your guide will share with you the fascinating history of the palace and French royalty while you surround yourself by the luxury chambers where they once lived at Versailles. VIP tickets are also available to visit the Palace, without having to deal with long queues. You will also have access to special areas in the palace that are closed off to the public. Inside the Royal Palace, you can visit the Royal Opera House and the King and Queen’s private residence. Don’t forget Versailles’ Trianon and the Queen’s Hamlet, the impressive gardens and the Park.